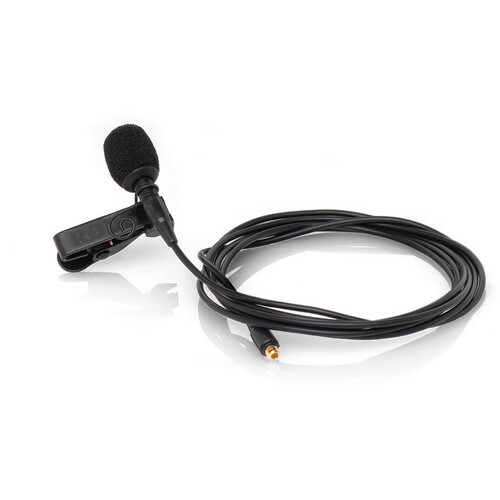 The RØDE Lavalier Microphone is a quality lavalier with an omnidirectional polar pattern and condenser element, well suited for general speech pickup in sermons, presentations, instruction, interviews, etc. The microphone&apos;s detachable cable is easily replaceable in the event of a short or break, and its proprietary MiCon connection allows you to select from a number of optional adapters, for use with virtually any wireless bodypack transmitter. The microphone ships in a protective storage case and includes a waterproof pop-filter, wind-muff and clip. MiCon connector system provides seamless integration between all of RØDE&apos;s compact wearable microphones and a wide range of wireless systems. Box Dimensions (LxWxH) 4.1 x 1.7 x 0.3"